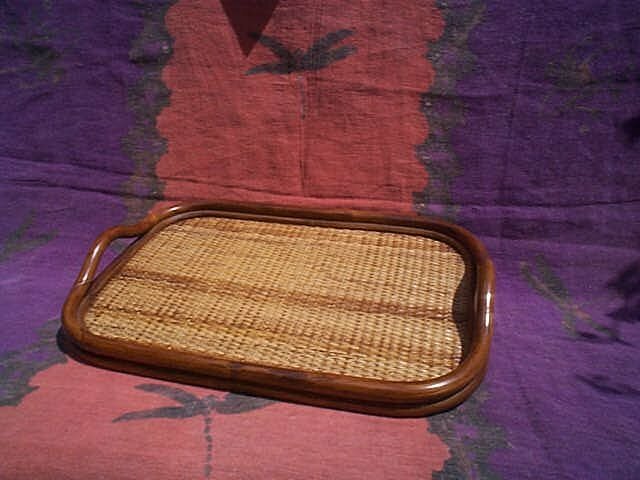 Description: A beautiful square shaped tray made from dark bamboo and rattan. A wonderfully elegant design. 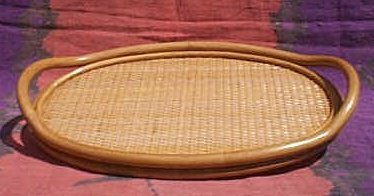 Description: This round shaped rattan tray is an exquisite piece of craftsmanship. 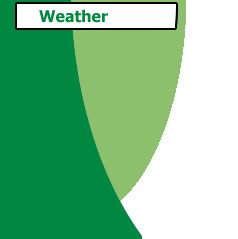 It is both a decorative as well as a functional design. Description: This round shaped light bamboo/rattan tray is also a magnificent item. Great for bringing guests that afternoon tea on the veranda. 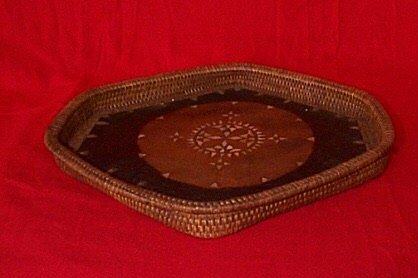 Description: This square shaped bamboo/rattan tray, with its carved in carrying handles, is a gorgeous design. 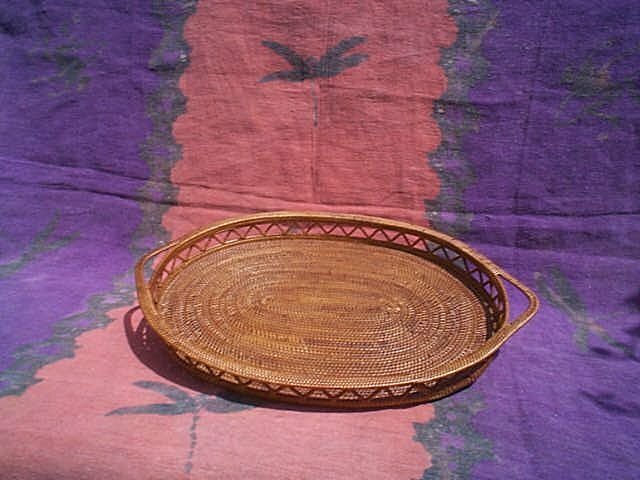 Description: This beautiful round tray is made from Ato Grass. A rare grass only known to grow in certain places on Bali, and only known to certain village craftsmen. 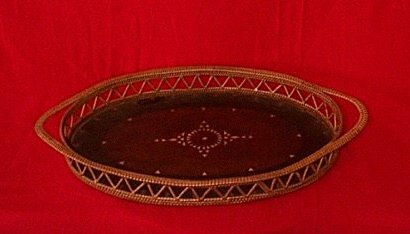 This tray also features an exquisite inlaid pattern. 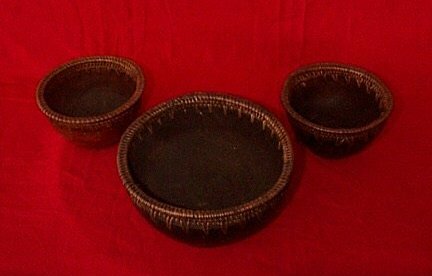 Description: This collection of 3 bowls made from the rare Ato Grass, includes a square bowl, a medium sized round bowl and a smaller round bowl. All 3 also include covers. Description: This set of 4 small round wooden bowls all include a unique carved pattern. Sold as a set. Description: This set of 3 bowls includes 2 medium and 1 large round bowl. Made from the rare Ato Grass, these handmade bowls are wonderful decorative items. 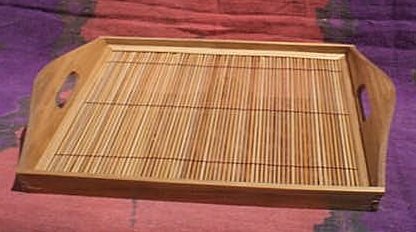 Description: This unique square shaped tray made of Ato Grass and wood is inlaid with a beautiful design pattern. Description: This is a set of 3 oblong round shaped bowls, complete with top covers, and feautures a beautiful inlaid pattern on the cover.